We’re trying something new here at Streetsblog. Instead of running the headlines in one big file that takes up all our prime homepage real estate, we’re going to start running them like a normal post — meaning all you have to do is click the headline to enjoy our story. Going forward, we’ll use this paragraph as a teaser to entice you into the deeper world of street safety news within. So click and enjoy. I see why you changed the format, but the best format was when the roundup was just the links with a few words (1 line max) description. The editorializing of every link just makes the roundup cumbersome. Maybe go back to the links + short text format and add the opinions/hat tips or whatever in a comment to the roundup. 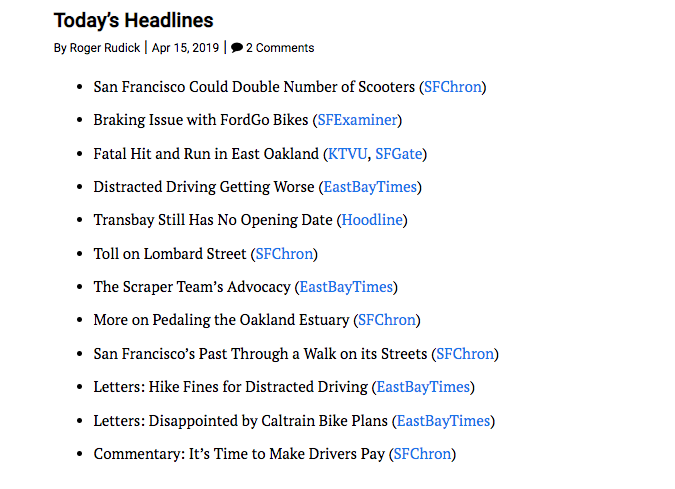 Just do what every other local Streetsblog site does…. At least 3 of today’s 9 headlines are in a readable format. I agree with the other posts. One line, max 2 if its a major story. And link. No sarcasm. Front page. I like the context of the longer format. Used to get confused by the short headlines. so that’s 1 vote for, about 17 against if I recall correctly. This barely got any coverage, but multiple people were hit by trains yesterday. No word on how it happened, but someone (here’s looking at you, Andy B) should really figure out how to stop this. I think I would have put those in the opposite order, but good to know he has the feelz for his non-dead officer. 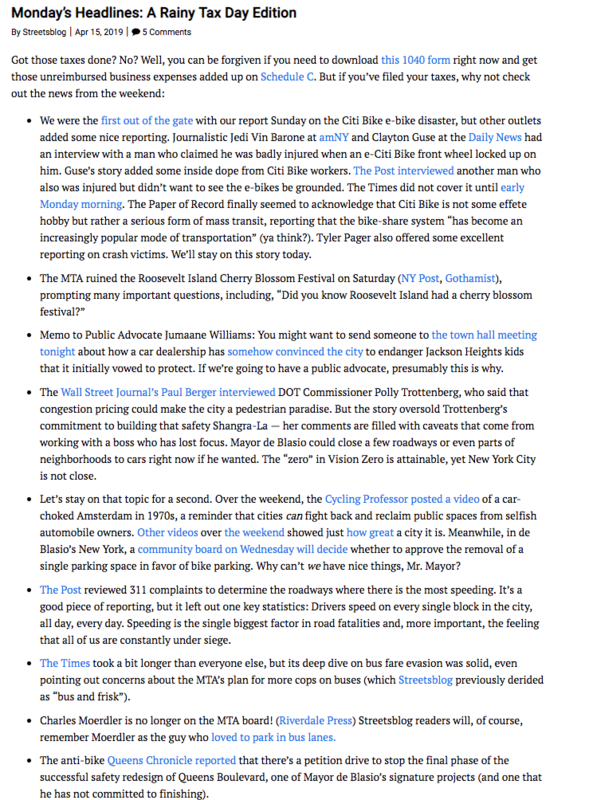 For the first time in nearly nine years, we're debuting a sitewide redesign of Streetsblog. Will Dallas Buckle Under the Weight of So Much Asphalt?